Frame Size: 38.75" x 30"
Original lithograph in colors. Ca 1969. Signed and number by the artist. This is number 13 from an edition of 50. The image size is 23.8" x 15.9". The paper size is 30" x 21". Catalog reference: Mourlot 592, page 49, Volume IV. 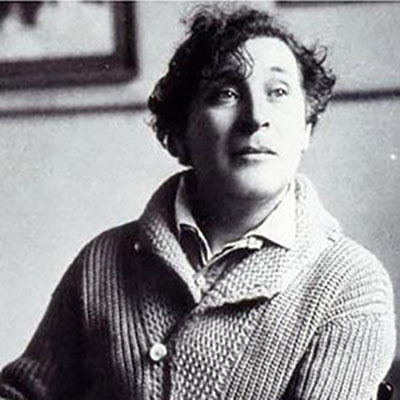 Marc Chagall was born Moishe Zakharovich Shagal on July 7, 1887 in Vitebsk, Belorussia. After studying art in Vitebsk and St. Petersburg he became frustrated with the traditional inclinations of his training. In 1910 he moved to Paris where he found home in the famous "La Ruche" (Beehive) area in the Vaugirard district. It was here where he met the painters Chaim Soutine, Fernand Leger, and Robert Delaunay as well as the real foundation for his artistic development. Chagall's exposure to Cubism resulted in his attempts to incorporate the Cubist multiple points of view and geometric shapes into his compositions at that time. 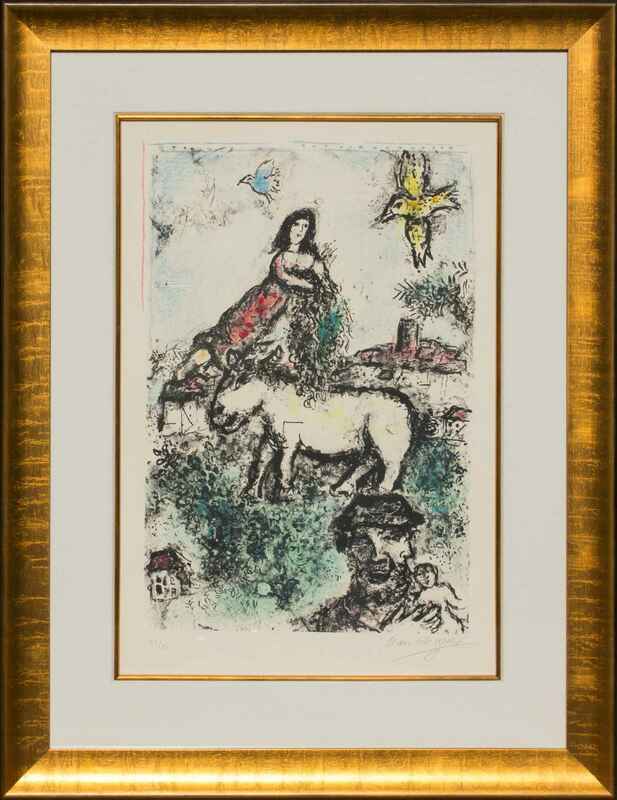 Two years later, Chagall contributed to the Salon des Independants and Salon d' Automne as well as to Larionov's Donkey's Tail exhibition in Moscow. In 1914 he had his first one-man show at the Galerie “Der Sturm” in Berlin, Germany. In the mid 1920s, he produced illustrations to La Fontaine's Fables. This marked his first step into the world of Fine Prints. It was when the artist was in his fifties, that he found his true artistic voice as a lithographer. Throughout the end of his life, he went on to create over 1,000 original lithographs created by painting directly on the stone. 30" x 21" Framed: 38.75" x 30"